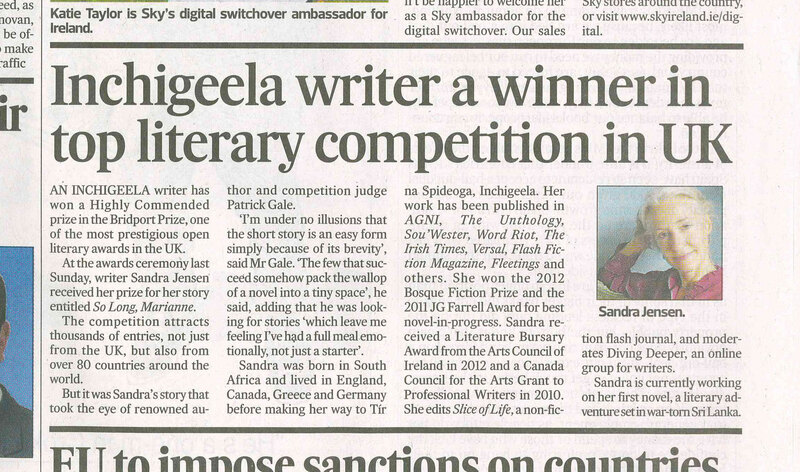 I was very pleased to hear that a first draft chapter of my new work, Seagull Pie, written this year at a Freefall Writing retreat in Portugal, won a ‘Highly Commended’ award at the 2015 Winchester Writers’ Festival Writing Competitions. This was a very good account of a moment of departure told from a child’s point of view. The writing is full of detail and is extremely funny in places. I liked that this isn’t an airbrushed account. At times the experience feels uncomfortable and that is conveyed in the writing. This is a well told story that includes a real sense of tension and jeopardy. There are strong characters and complex family relationships are conveyed. I finished with vivid impressions of mother, Bonma, Michael and the dog. In a strong field this piece deserved its place on the shortlist.